One of the privileges of the city’s leaders was having an idol to himself in his house. It was hoped that this idol would bless the leader in whatever he did. He was expected to offer sacrifices to it on special occasions and seek its help at times of distress. The idol of Amr was called Manat. He had made it from the most priceless wood. He spent a great deal of time, money and attention looking after it and he anointed it with the most exquisite perfumes. Amr was almost sixty years old when the first rays of the light of Islam began to penetrate the houses of Yathrib. House after house was introduced to the new faith at the hands of Musab ibn Umayr, the first missionary sent out to Yathrib before the hijrah. 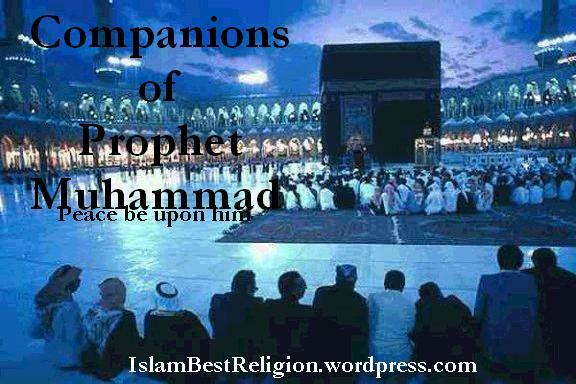 It was through him that Amr’s three sons–Muawwadh, Muadh and Khallad–became Muslims. One of their contemporaries was the famous Muadh ibn Jabal. Amr’s wife, Hind, also accepted Islam with her three sons but Amr himself knew nothing of all this . “In the name of God, the most Gracious, the Dispenser of Grace. All praise is due to God alone, the Sustainer of all the worlds, The most Gracious, the Dispenser of Grace. Lord of the Day of Judgment! “Yes indeed, father. Do you wish to swear allegiance to him? All your people have already done so” urged Muadh. Amr’s sons knew the extent of their father’s dependence on Manat and how with time he had become almost a part of it. They realized however that the idol’s place in his heart was being shaken and that they had to help him get rid of Manat. That must be his path to faith in God. One night Amr’s sons went with their friend Muadh ibn Jabal to Manat, took the idol From its place and threw it in a cess pit belonging to the Banu Salamah. They returned to their homes with no one knowing anything about what they had done. When Amr woke up the following morning, he went in quiet reverence to pay his respects to his idol but did not find it. “Woe to you all,” he shouted. “Who has attacked our god last night” There was no reply from anyone. He began to search for the idol, fuming with rage and threatening the perpetrators of the crime. Eventually he found the idol turned upside down on its head in the pit. He washed and perfumed it and returned it to its usual place saying. The youths waited until Amr was fast asleep. They took the sword from the idol’s neck and threw it into the pit. Amr found the idol Lying face down in the pit with the sword nowhere in sight. At last he was convinced that the idol had no power at all and did not deserve to be worshipped. It was not long before he entered the religion of Islam. Amr soon tasted the sweetness of Iman or faith in the One True God. At the same time he felt great pain and anguish within himself at the thought of every moment he had spent in shirk. His acceptance of the new religion was total and he placed himself, his wealth and his children in the service of God and His Prophet. The extent of his devotion was shown during the time of the battle of Uhud. Amr saw his three sons preparing for the battle. He looked at the three determined young men fired by the desire to gain martyrdom, success and the pleasure of God. The scene had a great effect on him and he resolved to go out with them to wage jihad under the banner of the messenger of God. The youths, however, were all against their father carrying out his resolve. He was already quite old and was extremely weak. Soon it was time to go out to battle. Amr bade farewell to his wife, turned to the qiblah and prayed: “O Lord, grant me martyrdom and don’t send me back to my family with my hopes dashed.” He set out in the company of his three sons and a large contingent from his tribe, the Banu Salamah. His son Khallad remained closely behind him and they both fought courageously in defense of the Prophet while many other Muslims deserted in pursuit of booty. Father and son fell on the battlefield and died within moments of each other.